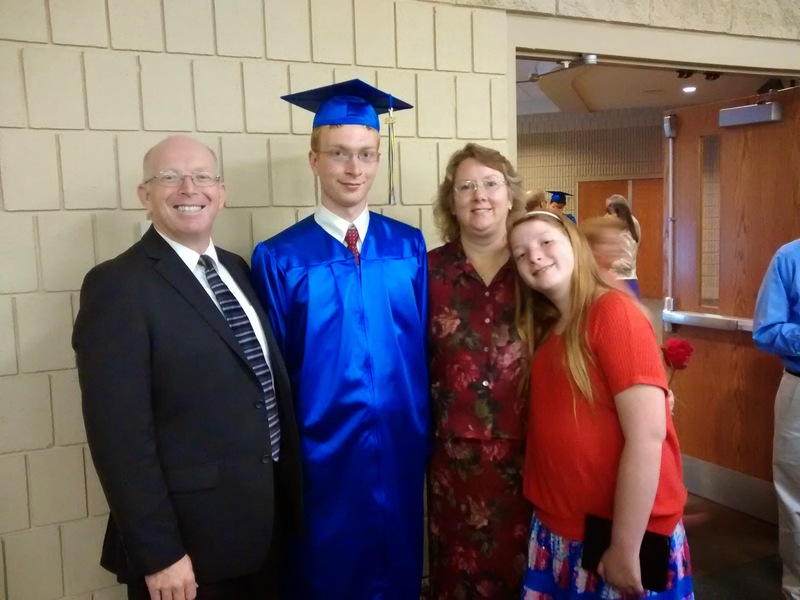 Our son James graduated from high school. 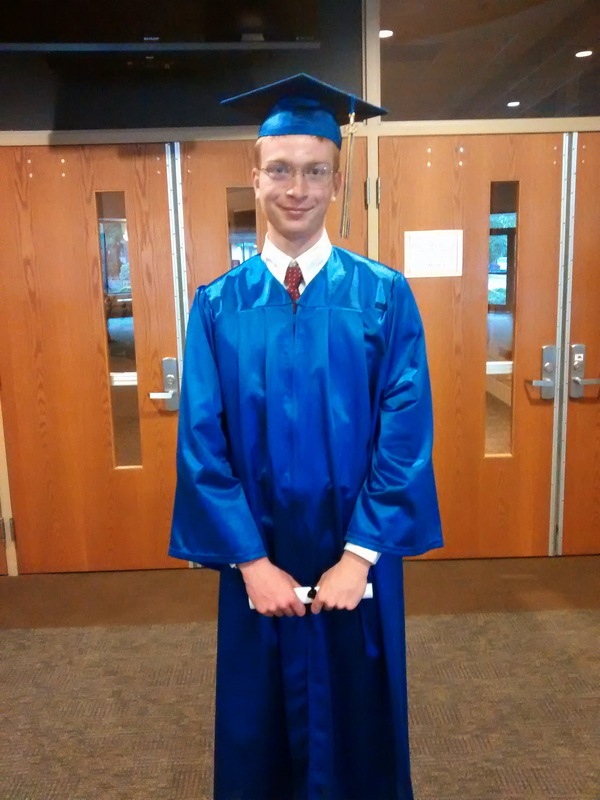 Though he is home schooled, he graduated with 32 other young people in a ceremony with almost 800 people in attendance. 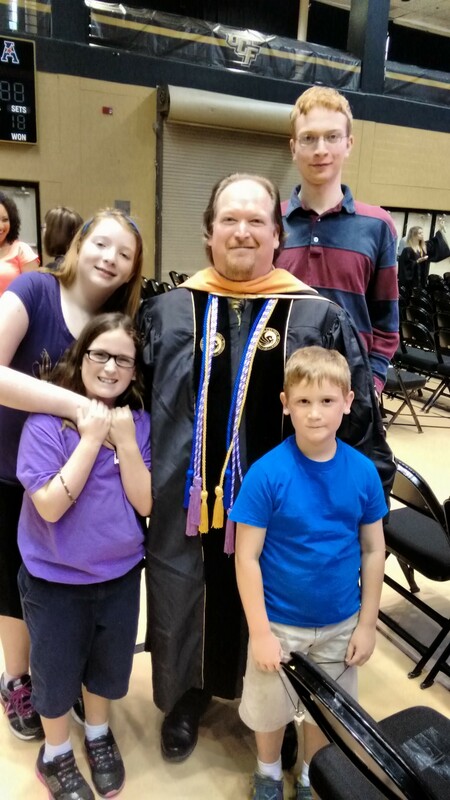 This is thanks to being part of a home school association in the Knoxville, TN area. We had a great time with a few family members at the ceremony. James with Mom and Dad. 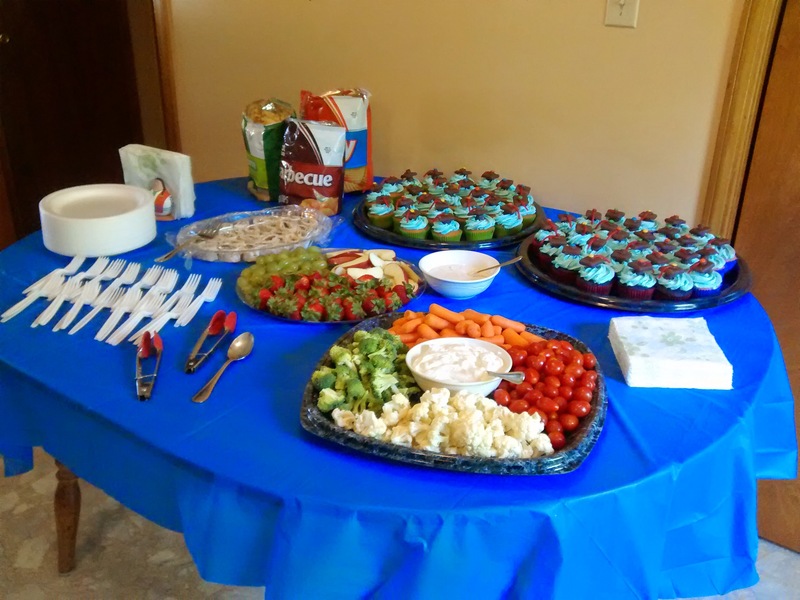 Before the evening graduation, we had about 40 friends gather at our house for an open house in honor of our graduate. Ready for the open house! We thank the Lord for the maturity and direction He has given to James. Though James still does not know everything the Lord wants him to do, he is taking one step at a time. 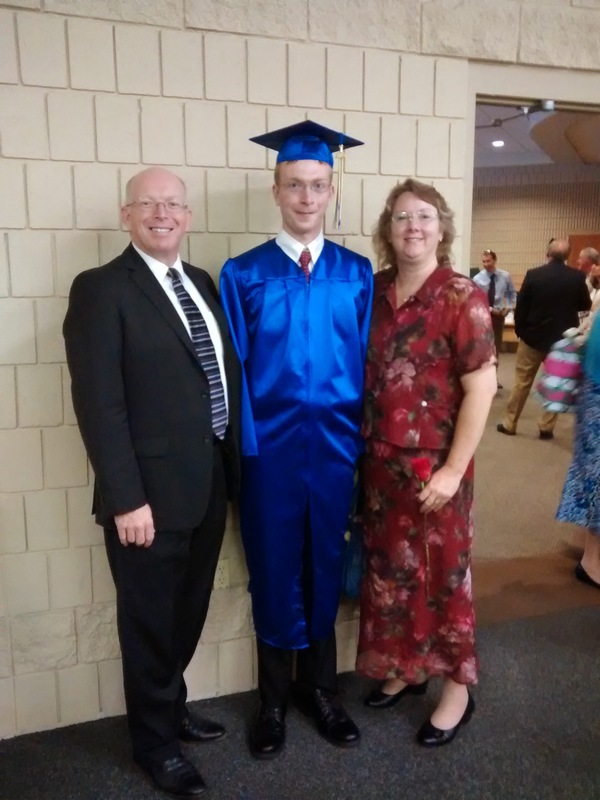 This fall he plans to attend Pensacola Christian College and study professional writing. 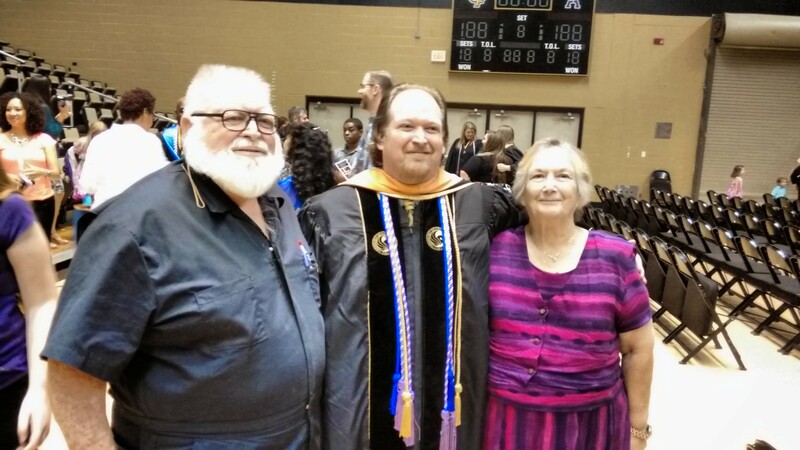 My younger brother graduated with his Doctorate in Nursing Practice (DNP). We had a good time with Mom and Dad while we were in Orlando for the graduation.